Wild — 102.0 miles; Total — 102.0 miles. 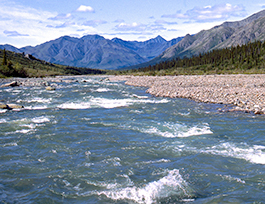 This river flows from the south flank of the Arctic Divide through broad, glacially carved valleys in the rugged Endicott Mountains of Alaska's Central Brooks Range. It passes between the "Gates of the Arctic" at Boreal Mountain and Frigid Crags.